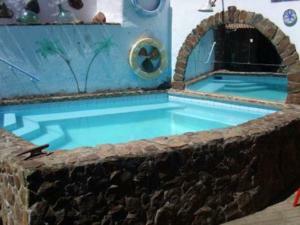 Firgas 365,000 Euros Properties For Sale Gran_Canaria Canary Islands Real Estate Agents 3 Bedrooms Casa Rural Property on World Property Portal. 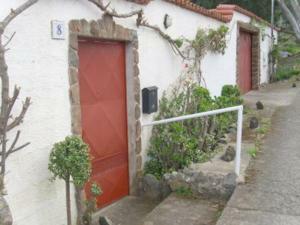 Countryhouse with fantastic views over Las Palmas, Spacious but cozy house, 170 sq meters, in a rural area of Firgas, in the north of Gran Canaria, on 896 sq meters of land. 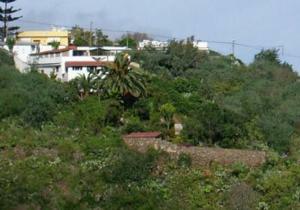 Beautiful view of mountains, valley, ocean and Las Palmas. Good neighbours, this is a very quiet and private home, secure, with decorative railings on all windows and alarm system, properties on either side of the house have been declared agricultural, and cannot be built on, the entire property is enclosed by a wall on the upper areas and chain link fencing around the back garden. We are connected to phone lines, ADSL, have garbage collection, electricity, piped in water and very low taxes, this house is free title with all papers in order. Only 10 minutes from Firgas, 15 minutes from Arucas, and 30 minutes to the capital city of Las Palmas, a new road is currently being built that will reduce these travelling times. UPPER LEVEL: 2 car garage with automatic door opener. Roof garden, partially enclosed with built in BBQ. Dining and sitting area. 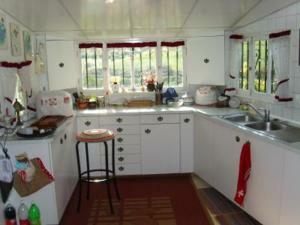 Mini kitchen with 2- burner gas stove and sink. Bathroom 2- piece�toilet and sink, beautiful view. A small covered area �mirador�, over 26,000 liter water holding tank, overlooking the courtyard and similar view as the roof: Outside garden area and aviary. MAIN LIVING AREA: Courtyard has small pool, with pump, sand filter and passive solar heating. Enclosed laundry area. Entrance porch with dining area. 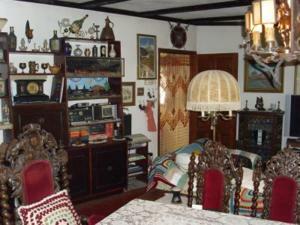 Living room /dining room combination, with beamed ceiling, and windowed wood stove. Bedroom/dressing room combination used to be 2 bedrooms, with built in closets. Bathroom3-piece�bathtub, toilet, sink and fixtures for bidet. Small area with 4- burner gas stove and oven with snack bar. 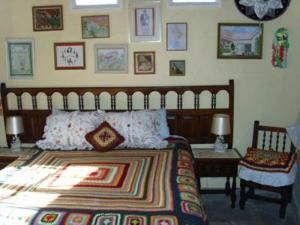 Large bright kitchen, with gas water heater, overlooking valley and mountains with 4 -burner gas stove and oven. Large combo fridge with 3 drawer freezer. Separate 4 -drawer freezer. Double stainless sinks and drainboard. Built in cabinets and drawers. 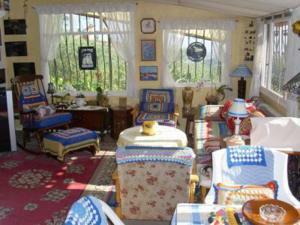 Large family room with dining and sitting area with lovely view, as this has many windows. LOWER LEVER: not a basement�this is above ground with large windows. Bedroom with large built in closet. Bathroom 3-piece�toilet, sink, and shower with electric hot water heater. Large hobby room, with sink, built in work area and drawers, that could be could be made into another bedroom, OR this entire area could be converted into an in-law suite. There is a door from the hobby room that opens to the back garden area and could be used as a private entrance. 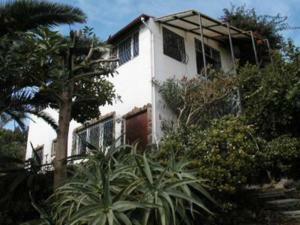 BACK GARDEN: Has fruit trees and various other plants, at the bottom of the property there is a pond and garden house. Included in the asking price of �365,000� All of the above�PLUS� Garden tools, both manual and electric, various other tools, satellite dish,SAT antenna. Reason for selling after 25 years: Advanced age and health issues. NO REALTORS�PLEASE! International Real Estate Listings, Luxury Villas, Bargain Repossessions direct from the Banks, Second Homes, Holiday Homes For Sale, Worldwide Investment Gran_Canaria Properties, Frontline Beach Front Las-Palmas Properties, Exclusive Penthouses, Plots of Land, Country Houses, Residential United-States-Of-America Real Estate For Sale.